Thank you for attending the 2018 Christian County Fair. We look forward to seeing you next year! Premiums will be paid out by the end of August. Welcome to the Christian County Fair Website! Your support makes it possible to support the youth of Christian County. We are now on Facebook!! Click here to like our page to keep up to date with the fair! Please stop by our Facebook page to provide feedback! We are in need of Volunteers to help with this year's grand event. If you would be interested in learning more about joining the all volunteer Christian County Fair Board or making suggestions for next year's fair, please click here. Are you a local act, looking for a place to showcase your talents? Please contact us about joining our entertainment lineup for next year. Please no national acts or agents. The Christian County Fair Board lost a dear friend in 2017. His presence is felt in everything we do here at the fair. Stan, there will always be a seat at the table waiting for you! 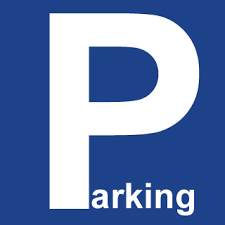 Visitor Parking: Please park along on the street. Exhibitors: Please pull up to the livestock arena and drop off, then immediately move your vehicles to a solid surface either close to the bathrooms or on the back road (allowing for traffic to continue moving) between the fairground and the river. Please do not park over by the Booster Club Arena and please do not block traffic areas. Professional photos taken by Ethan Hutchinson, professional photographer. All photo rights belong to the Christian County Fair and should not be used without expressed written permission from the Christian County Fair. This page was last updated on July 8, 2018.